Welcome to the Crime Lounge! 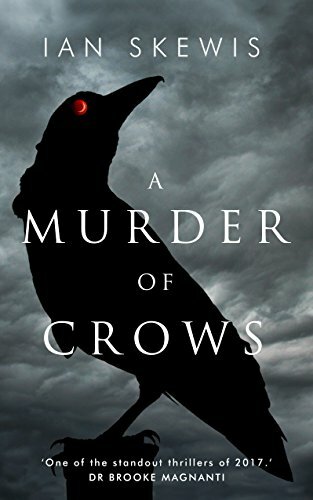 I’m the author of A Murder Of Crows. I used to be an actor and will soon be delving into audiobook narration. Which new authors do you recommend to your friends? Alan Parks has written a book called Bloody January, which is a very gritty read set in 1970s Glasgow. Charles E McGarry has written two books involving a particularly dapper detective with exquisite taste in food and drink, and there are numerous others including Jackie McLean and Clare MacLeary. The Long Drop by Denise Mina — still my favourite book of this year so far. The attention to detail and her ability to conjure up an entire world that is no longer with us is done with deceptively light touches. Val McDermid’s Insidious Intent has a great emotional pull and I’m currently reading Doug Johnstone’s Fault Lines, which is proving to be a very engrossing read. I started writing in 1989 and had some poems published back then as well as writing for a local free-paper. It wasn’t until 2013 that I began to take it more seriously. I also have a Facebook group page called The Crow’s Beak where you can chat with me and others live online and exchange stories and gossip. Do you have a newsletter? How can readers sign up for it? My first newsletter is being launched on Halloween and to coincide with this I will be giving away a FREE short horror story. There will also be other freebies, exclusive news and hot book- based gossip too! The link can be found on the home page of my website.